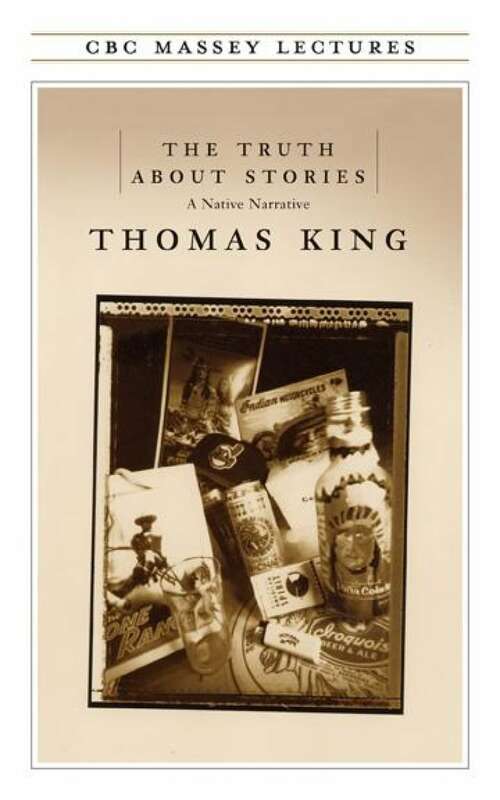 The 2003 CBC Massey Lectures, "The Truth about Stories: A Native Narrative"
In his 2003 Massey lecture, award-winning author and scholar Thomas King looks at the breadth and depth of Native experience and imagination. Beginning with Native oral stories, King weaves his way through literature and history, religion and politics, popular culture and social protest, in an effort to make sense of North America's relationship with its Aboriginal peoples. Thomas King holds a PhD in English/American Studies from the University of Utah and has taught Native Studies at Utah, California, Minnesota, and Alberta for the past twenty-five years. He is currently Professor of English (teaching Native Literature and Creative Writing) at the University of Guelph. His widely-acclaimed novels include Medicine River, Green Grass,Running Water, and Truth and Bright Water, and he has been nominated for the Governor General's Award as well as the Commonwealth Writer's Prize. He is the editor of All My Relations: An Anthology of Contemporary Canadian Native Fiction, and co-editor of The Native in Literature: Canadian and Comparative Perspectives. His popular CBC series, The Dead Dog Café, is being adapted as an animated television series. His father was Cherokee, his mother is Greek, and King is the first Massey lecturer of Native descent. The Truth About Stories is published by House of Anansi.